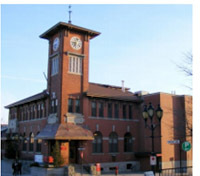 My position on the Clock Tower development is three stories and no more than four stories as long as it works with the landscape, heritage look and style and we focus on preserving the existing buildings. At the end of the day we have a Heritage Conservation Plan and Bylaw, we have many opinions and concerns submitted by residents and reports from staff to help guide us. I received many emails, and phone calls, along with one on one discussion with our community. The same concerns were echoed around our heritage, protecting main street, parking and traffic all very valid a real concerns. I spent some time visiting other main streets and took my research outside Newmarket to other towns. Some facing development now, some already through the process and some wishing they were developing. I spoke to a Main Street Board in Baltimore who was fighting tearing down some historical buildings because they could not maintain them. They felt their government were giving up. I spoke to a family who lives in New Jersey dealing with a almost completely divided main street with half wanting to keep status quo and the other wanting high rise. I want to shorten the time this sits vacant and protect the heritage of Main Street and I believe providing clear direction for our vision of Main Street is the best way to do that. We will hear from Mr. Bob Forrest from the Forrest Group and from our Senior planner on Monday November 28. Item 3 PowerPoint Presentation by Mr. Bob Forrest, Forrest Group regarding the Main Street Clock Inc. re-development application and item 26 The Senior Planner - Community Planning to provide a PowerPoint presentation overview of Development and Infrastructure Services - Planning and Building Services Report 2016-25 along with several deputations will be heard at 7pm. I want to thank our community for reaching out and being engaged in our town. After all a great town like Newmarket with great neighborhoods and award winning streets cannot happen without strong residents and people who care. To view the staff report and Chris Simon's article follow these links.